The Solo-G series consists of 3 stands for acoustic and classical guitars, for electric and bass guitars and a universal design that accommodates most body shapes. 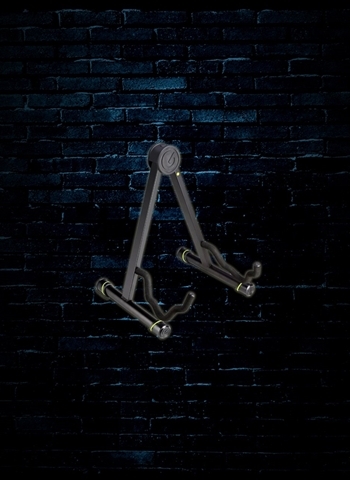 The A-frame stands are made of heavy-duty steel tubing with black powder coating finish, soft rubber backrest and EVA support arm padding to protect the instrument's finish and nonslip rubber feet. Providing two splay angle options, the tilt back Solo-G design folds up to compact dimensions nicely for easy portability.